This Research Topic seeks an updated and innovative knowledge on the chemistry, detection technologies of toxic / hazardous chemicals and microbial toxins causing contamination in food, medicine and the environment. The qualitative and quantitative analysis of hazardous toxicants may be an important issue and is an interesting area of research. Investigation of chemical and microbial analysis is the purpose of this topic. The rapid detection of pathogens, microbial toxins and other hazardous environmental toxicants is critical for ensuring human health and safety, especially for food products with short shelf-lives. Chemical contaminants typically pose a health concern and may occur from a variety sources, resulting in strict national and international regulations to determine their threshold levels. Analysis of relevant chemical contaminants is an essential part of safety testing program to ensure consumer safety and compliance with regulatory and tolerance limits. Modern analytical techniques can determine known chemical contaminants in a variety of complexes at a very low concentration level. Recently, innovative approaches with material science engineering are developing with better collaborations of biological engineers for discovering novel materials to insure biosafety levels. Moreover, they can also help discover and identify new or unexpected chemical contaminants. This Research Topic will welcome the broad range of manuscripts types focusing on Bio-Security of Toxic Chemicals and Microbial Toxins: Original Research, Methods, Hypothesis & theory opinions, Case Reports, Reviews, Mini-Reviews, Clinical Trial Protocols etc. 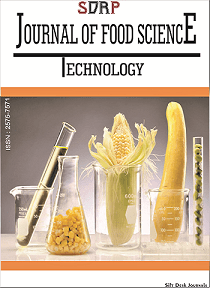 We particularly welcome articles reporting novel experimental approaches and findings, for more established strategies to have contaminants free food and the environment.